The Children’s Med Dallas documentary ran two seasons on WFAA Channel 8. It is an original dramatic series of episodes that follow the stories of physicians, nurses, expert caregivers, and patients. 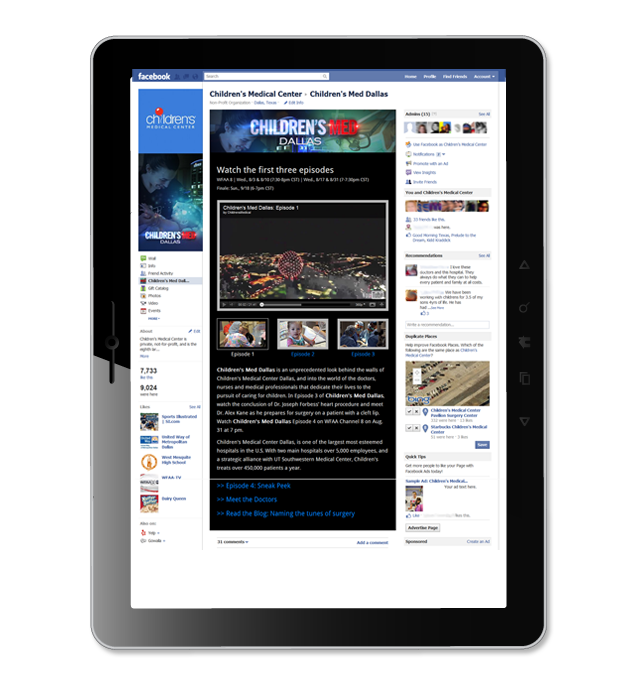 This Facebook tab was designed as the landing page for Children’s Facebook visitors, shared video clips from each week’s show, and offered a place for comments and discussion.